Pioneers in the industry, we offer hp 300gb 6g sas 10k 2.5in sc ent hdd, hp 3tb 6g sata 7.2k rpm lff hdd, hp 3tb 6g sas 7.2k rpm lff hdd, hp 4tb 6g sas 7.2k rpm lff hdd, hp 500gb 3g sata 7.2k rpm lff hdd and hp 1tb 3g sata 7.2k rpm lff hdd from India. We provide to our client a wide range of HP 300GB 6G SAS 10K 2.5in SC ENT HDD. We provide to our client a wide range of HP 3TB 6G SATA 7.2K RPM LFF HDD. We offer to our client a wide range of HP 3TB 6G SAS 7.2K RPM LFF HDD. We offer to our client a wide range of HP 4TB 6G SAS 7.2K RPM LFF HDD. We provide to our client a wide range of HP 500GB 3G SATA 7.2K RPM LFF HDD. We are leading manufacture of HP 1TB 3G SATA 7.2K RPM LFF HDD. We provide to our client a wide range of HP 300GB 6G SAS 10K RPM SFF HDD. We are leading manufacture of HP 900GB 6G SAS 10K 2.5in SC ENT HDD. We are leading manufacturer of HP 600GB 12G SAS 15K 2.5in SC ENT HDD. Genuine HP serial number and firmware. We provide to our client a wide range of HP 600GB 6G SAS 10K 2.5in SC ENT HDD. We are leading manufacturer of HP 450GB 12G SAS 15K 2.5in SC ENT HDD. We are leading manufacturer of HP 146GB 6G SAS 15K 2.5in SC ENT HDD. We are a trustyworthy organization offering a wide a gamut of Lenovo Hard Disk Drive. We provide to our client a wide range of HP 450GB 6G SAS 10K 2.5in SC ENT HDD. We are also one of the leading and well recognized names in providing HP 1TB 6G SATA 7.2K RPM SFF HDD. We are leading supplier of HP 500GB 6G SAS 7.2K RPM SFF HDD. We provide to our client a wide range of HP 146GB 6G SAS 15K RPM SFF HDD. We provide to our client a wide range of HP 300GB 12G SAS 15K 2.5in SC ENT HDD. We offer to our client a wide range of HP 500GB 6G SAS 7.2K 2.5in SC MDL HDD. We are leading manufacturer of HP 500GB 6G SATA 7.2K RPM LFF HDD. We offer to our client a wide range of HP 1TB 6G SATA 7.2K RPM LFF HHD. We provide to our client a wide range of HP 2TB 6G SATA 7.2K RPM LFF HDD. Our organization is topmost provider of HP 4TB 6G SATA 7.2k RPM LFF HDD to our customers. We are leading manufacturer of HP 1TB 6G SAS 7.2K RPM LFF HDD. We provide to our client a wide range of HP 2TB 6G SAS LFF HDD. We offer to our client a wide range of HP 2TB 3G SATA 7.2K RPM LFF HDD. We offer to our client a wide range of HP 500GB 3G SATA HDD. We provide to our client a wide range of HP 450GB 6G SAS 15K RPM LFF HDD. We provide to our client a wide range of HP 600GB 6G SAS 15K RPM LFF HDD. Our organization is topmost provider of HP 500GB 6G SATA 7.2K RPM SFF HDD to our customers. Our domain expertise has enabled us to offer an excellent collection of HP 1TB 6G SAS 7.2K RPM SFF HDD. We are leading manufacturer of HP 450GB 6G SAS 10K RPM SFF HDD. We offer to our client a wide range of HP 600GB 6G SAS 10K RPM SFF HDD. We are leading manufacturer of HP 900GB 6G SAS 10K RPM SFF HDD. 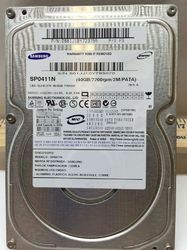 We are leading manufacture of HP 1.2TB 6G SAS 10K RPM SFF HDD. We offer to our client a wide range of HP 1.2TB 6G SAS 10K 2.5in DP ENT SC HDD. Understanding the precise demands of our clients HP 1TB 6G SAS 7.2K 2.5in SC MDL HDD. Looking for Server Hard Disk ?